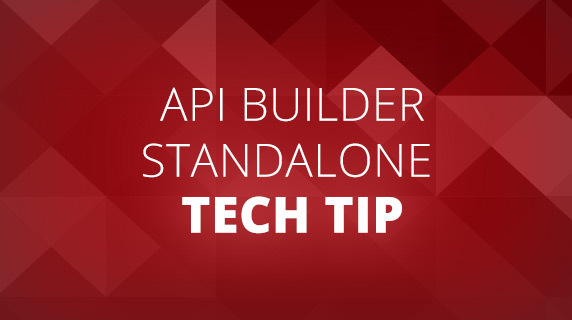 In this blog post, we’ll discuss how to use API Builder Standalone to go from zero to a Dockerized API Builder service that can be run in any Docker-compatible infrastructure. In this example, we’ll use MongoDB as our data source. You will need to have a MongoDB instance with a database already created with at least one Collection with data in it. I used MongoDB Atlas for my example. It’s free and hosted/managed. We’ll leverage a few online guides from the Axway Documentation site and our data source will be MongoDB. We’ll also demonstrate how to pass in the MongoDB password at runtime as an environment variable, so that we are not hard-coding the password in our project. NOTE: I am using MongoDB Atlas, the MongoDB Managed Service on AWS, for my MongoDB. The DB name is test01. I will pass in my MongoDB password as a Nodejs environment variable, MONGO_PWD, when I start my API Builder project. Finally, I am generating models from schema and automatically generating APIs for the models. You will need to edit the url for your MongoDB instance, username and database name accordingly. NOTE: My MongoDB database, test01, contains a Collection called dog. Also, I edited the API Builder /conf/default.js config file and set APIKeyAuthType to ‘none’ to disable API authentication since I will be adding authentication with the Axway API Gateway. This won’t be covered in this blog post. We’ll follow the Dockerize an API Builder Service documentation. NOTE: My Docker image name is lbdemoapiimage. This command works since the API Builder Project contains a Docker file that can be used to create a Docker Image. This file is automatically created when the project is created. NOTE: I am passing in the MONGO_PWD environment variable. My container name is lbdemoapi. I am mapping the container port 8080 to the host port 8080. You will need to replace as necessary. At this point, we are done. We have a Docker containerized Microservice that can be run in any Docker compatible infrastructure. In this blog post, we saw how easy it is to create an API Builder project and Dockerize it, so that your Microservices can be run in any Docker compatible infrastructure.